It’s one thing to buy a product at a deep discount – only to have it crap out on you in a few months, and yet another to pay a premium price for it – and have it last you a lifetime. Trying to figure out when to pay the premium price vs. just going with a cheaper version of the item is something you’ll have to weigh yourself before you purchase. I know I have spent a lot of money on cheap products. Sure, I saved some at the time of purchase – but I could have saved more had I plucked down more money for a better product that would have lasted longer. Being an avid golfer, I find myself – from time to time, out in the elements – playing in the rain. 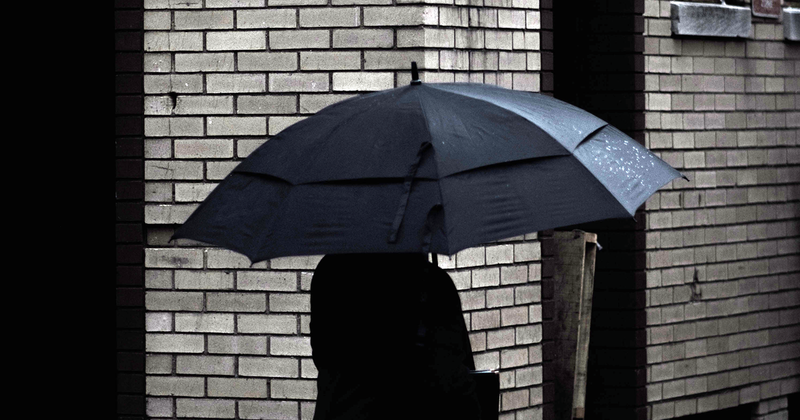 While it’s not ideal conditions and I try to avoid it – having a durable umbrella is a almost a necessity. I’ve gone through my fair share of ’em while walking along only to have it “blow-up” and get ruined. What if there was one that could withstand heavy gusts/rain and come with a lifetime warranty? 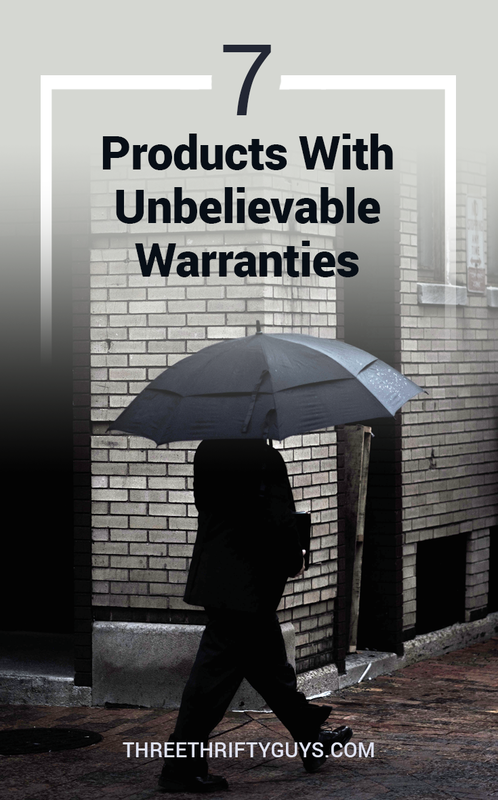 Well, there is one – and there are other products just like it with unbelievable warranties and guarantees you may want to invest in (instead of forking over less money for the cheaper version). Davek Umbrellas. Like I was saying – there IS an umbrella out there with a lifetime warranty. It’s from the folks at Davek in New York and they sell umbrellas and bags. As you might imagine the umbrellas are not a few bucks. They cost as much as $150 for their “elite” model. All come with an “unconditional lifetime guarantee” (provided you register the umbrella after purchasing). Saddleback Leather. I’m in need of a wallet. The one I have now, I got for free – but it hasn’t even lasted a year. I think now is the time to invest in leather. I’ve heard some great things about Saddleback’s customer service – and so I’m going to be trying out one in the near future (the one I’m looking at is $20 – so not unreasonable). Great thing about their products is they come with a 100 year warranty (clever huh?). So even your descendants can make good on the warranty once you pass on. 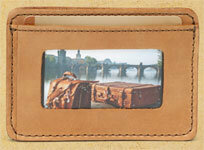 Saddleback sells most leather goods – from wallets to belts, to luggage. Cutco. I know there are a lot of cutlery businesses out there today that take pride in their products – but Cutco is among the best in providing folks with a quality product that is backed by their Forever Guarantee. They will replace and even sharpen your cutlery for free (save for the nominal shipping/handling fee) over a product’s life. Downside: you will need to contact a “representative” in your area to purchase. Rodda Paint. I don’t know too many paint companies who would put a lifetime warranty on their products. But, Rodda does with their Ultimate Exterior Paint Line. They claim its the “last house paint you will ever use“. The paint is not cheap – one gallon can run almost $60. Fiskars. Fiskars is probably the biggest name in craft scissors. When I was young, I remember my mom owned a pair that she used quite often and it never seemed to lose its “sharpness”. Fiskars also sells gardening tools now – and offers a lifetime product warranty for as long as you own their tools. Cree LED Lightbulb. Ever heard of a bulb with a warranty? 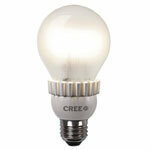 Cree offers a 10-year warranty on their 9.5W (60W) Warm White LED Bulb. The price of the bulb is about $13 at Home Depot. This is one of those items where you’ll need to do the math. Could you save just a tad more with a $1-2 bulb – but replace it every couple years? RedHead Socks. Another product you don’t usually find warranties on is clothing – especially socks. RedHead offers a lifetime guarantee on these bad boys – so wear ’em out and you can get another pair. They aren’t anything special to look at – but for $11.99/pair and a lifetime warranty to boot (no pun intended), you can’t complain. Are there any other unbelievable warranties out there from companies you buy from? Now spend less on your cell phone provider. See how much Matthew and his wife save on their service every month. TTG may receive a commission if a purchase is made via one of the links above – at no cost to you. Thanks for helping to support our site. Many knife companies have good warranties such as buck and Victorinox(the company that makes swiss army knives). I think it’s amazing that socks could have a lifetime warranty. Fiskars is a great company; they’ve replace two of my gardening tools when blades cracked (probably though misuse by me…), and all I had to do was file online with a photo of the damaged item. Now when shopping for any tool at the home store, if there is a Fiskars option, that’s my choice. Yes, the tools are great, but the fact that they stand behind them so quickly has won me over. Sounds like they really do stand behind their product! We have Cutco steak knives and scissors from 1978. They have never been sharpened. And when the Rep came our knives were almost as sharp as his brand new one! We bought more from him and will be sending the steak knives for sharpening. The only knives you ‘ll ever need. The light bulb I’ll definitely get. That’s a great deal. Sherwin Williams also offers lifetime warranty on several interior and exterior paints. A ton of bicycle and bike component companies offer warranties on their goods. I’ve good experiences with Velocity (bicycle wheels) and Avid. I’ve bought their products from my local bike shop and when I’ve returned with a product failure, the shop owner has warrantied the products. It gives me peace of mind knowing that I can really push the limits of my bicycles and their parts. After all, what’s the point in spending money on something you can’t use to its fullest capacity? I’m going to have to take a look at those socks! I am always wearing holes in my socks so a lifetime warranty would be nice. Oh, I hate buying something for the price just to have it crap out on me a few weeks later. Another place I’d add is LL Bean. They have a lifetime guarantee and will replace anything, regardless of how old it is. Regarding Cutco: go online to cutco.com, and you can order directly from them. Awesome knives and other tools too. Try the cheese knife — does everything from cheese to tomatoes to hard vegetables. @Barbara – thx for the info, I tried to go to the site to see if you could order, but didn’t look like it. @Nick – haha, great deal huh?